Other books written by Harvey Tyson. We have some copies of these available for purchase. Please contact us if you’d like to order one of them. Laugh the Beloved Country – James Clarke and I planned to collate and edit and write this book in six weeks. It took three years. We blamed the delays on our computers, sulking on the Highveld and on the tip of Africa, both of them vindictive, dumb machines. They chewed up our texts like dogs in an abattoir. . . They couldn’t even spell abattoir. And now my machine is sulking again.A few copies left of all three above. But soon, if anyone is interested, they’ll have to search for a digital form on some computer… if the text is still around. 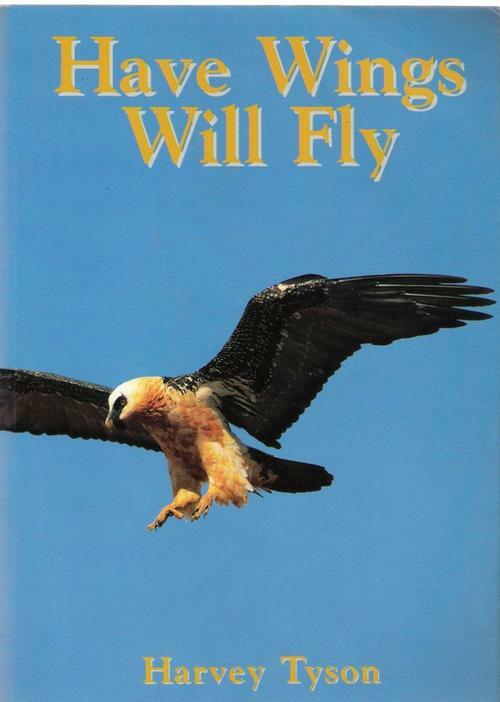 Have Wings, Will Fly – About southern Africa’s people and places as well as birds; from the Namib desert to the Antarctic islands; from San hunters to Zulu schoolteachers and other people pioneering in conservation. 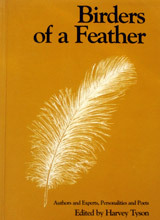 Birders of a Feather – Expert birders, writers and poets tell of their experiences and interests – or lack of interest – in birds and birding. I learned from this that writing books is much easier than compiling them – particularly where professional writers are contributing requested work. 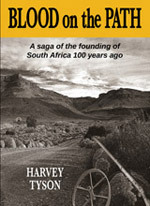 Blood on the Path – A novel history of the 50 years (1870-1920) depicting the opposing forces who conceived and finally established the South African nation.Two thriller-action events start the story, each based closely on facts about a barehanded fight with a leopard, and death in a whale-boat dragged across False Bay. Drama and romance sustain the epic history, but fact and fiction are clearly delineated in the text and indices. 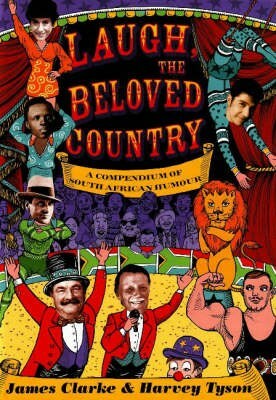 The facts are viewed through fictional participants in the heavily disputed making of South Africa – so that San hunters, Malay fishermen, boer farmers, black mineworkers and white women without votes may also have their say, along with Rhodes, Merriman, Jabavu, Smuts, Botha, Soga, Hofmeyr and the rest. They show that the rainbow nation should have been twice as big and twice as bright.